Build and maintain a consistent customer pipeline with TCC’s expert callers. 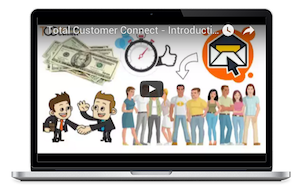 Total Customer Connect's (TCC) programs deliver a premium customer experience for those ready to buy and vehicle owners ready for service. With our call center services, custom marketing campaigns, state of the art pricing menus, electronic route sheet, tablet-friendly MPI tool, and DMS-driven reporting tools, TCC guarantees improved profitability in your dealership service drive.